I’m not a traditional red and green kind of gal when it comes to decorating for Christmas. 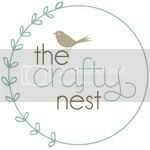 My color scheme of choice matches my home decor – blues and browns with some greens thrown in there (w/birdie accents of course). Last year I put a big ol’ boring boring bow on my door and I wanted to do something a bit more creative this year. I also wanted to make something that would decorate my door year round. Yarn wreaths are all the rage right now so I thought I would give it a go. Such a simple yet beautiful decoration. 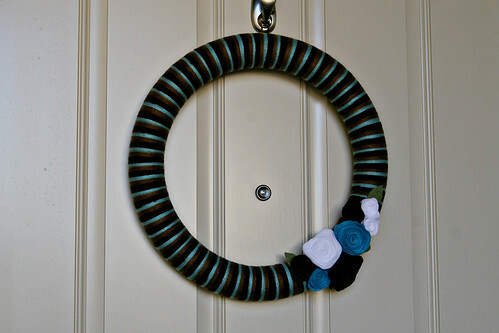 Not exactly the traditional Christmas wreath but it is perfect for my door and you can use whatever color of yarn and felt you like to fit with your decor. Step 1: Knot the end of the yarn to the wreath making a loop (this is for hanging purposes). 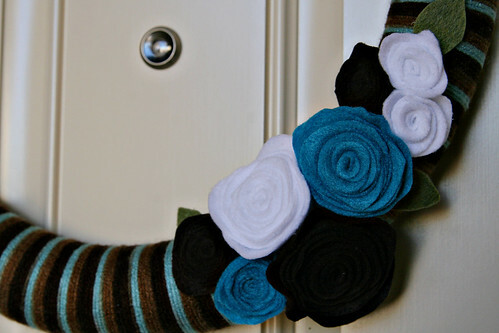 Wrap yarn neatly all the way around the wreath. 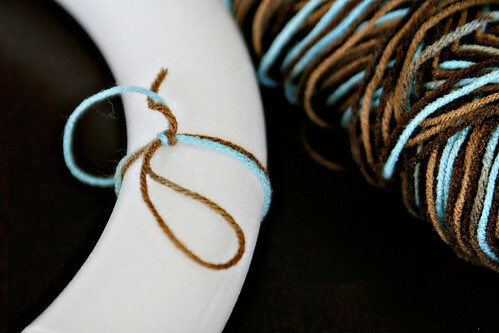 You can secure the yarn at the end of your wrapping with another knot or with hot glue. 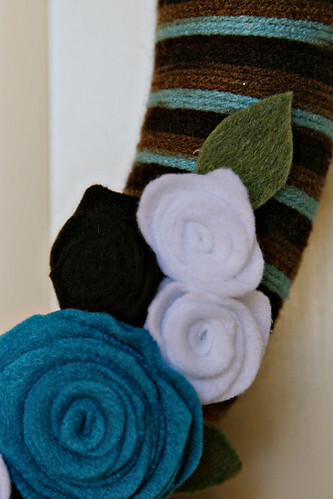 Step 2: You can decorate your yarn wreath with felt flowers or be creative! 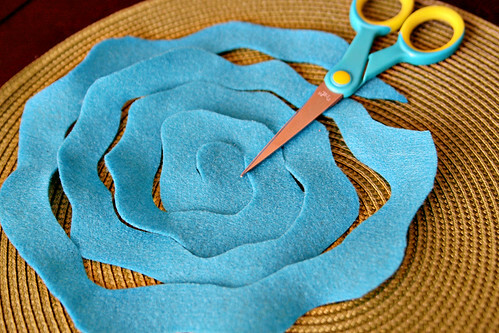 To make felt flowers cut your felt into a wavy circle. The bigger the circle, the bigger the flower. 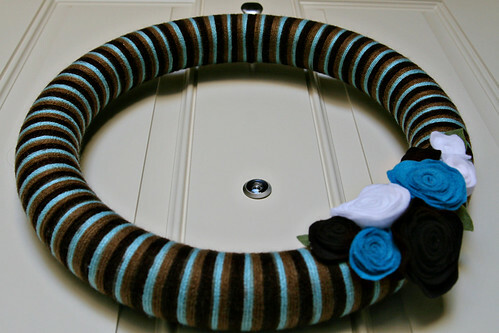 I used different sizes of circles and different colors of felt for this wreath. 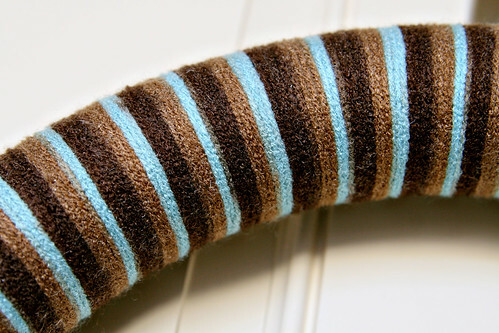 Step 3: Cut a wavy spiral into your felt circle all the way to the center of the circle, leaving a little piece of felt in the middle. 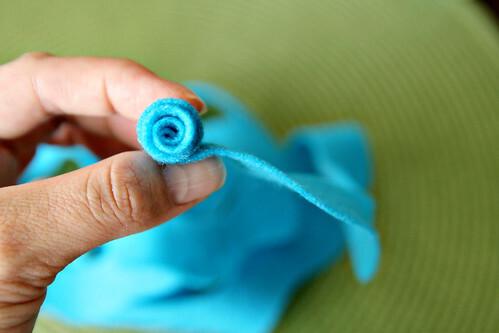 Step 4: Starting from the outside of your felt circle, start wrapping to form a flower until you get to the center. 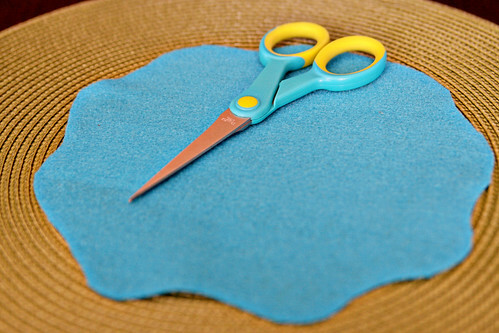 Hot glue your felt flower to the little piece of felt you left in the middle of the circle. 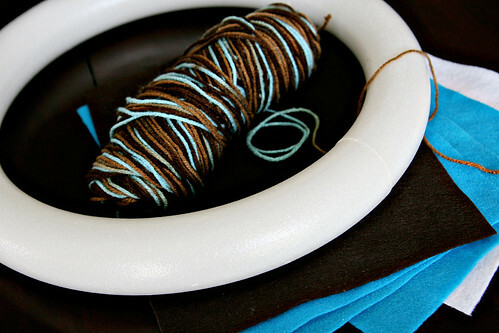 Step 5: Hot glue the felt flowers to the yarn wreath. 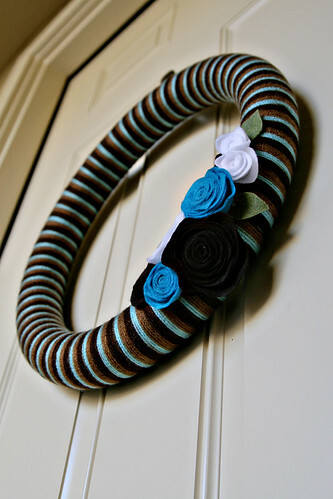 You can cut out petals and hot glue those to the wreath as well. Step 6: Hang and admire!